Slipknot's Shawn Crahan Talks Trump's Mexico Wall And Religion - GENRE IS DEAD! Slipknot’s drummer Shawn Crahan was recently asked on his opinion on president Trump’s plan to build a wall on the US and Mexico border. “Right now, the world is a really strange place, and yes, things are very tense. But I’m not political or religious, because I just don’t devote my life to that stuff and I don’t wanna seem ignorant in it, so I just perform and play God music, and that’s all we’re ever gonna do. We feel because… I wanna come here and express my love, and I want everyone to not judge all of us Americans, and we don’t wanna judge you, and that’s really the point. And that’s what music does for all of us. 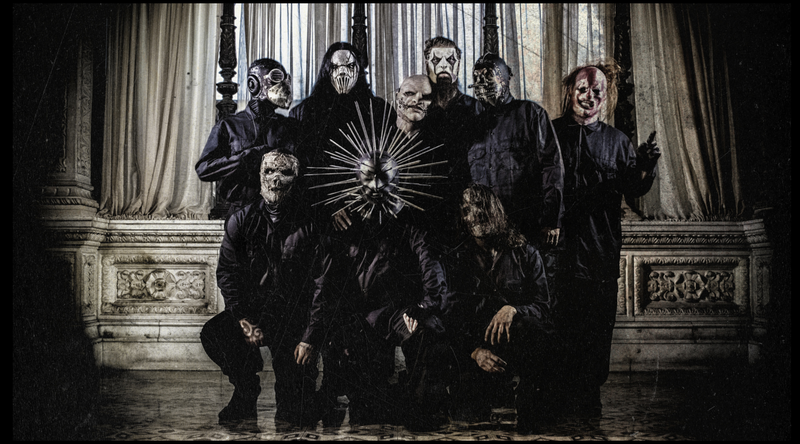 It’s really God to me,” added Crahan. Slipknot’s documentary Day of the Gusano comes out Sept. 6 and will receive a limited theatrical run.